There are growing concerns that increasing coastal and river-bank erosion is carrying millions of tonnes of long-buried rubbish into deep ocean canyons, where toxic waste and plastics will remain for decades. 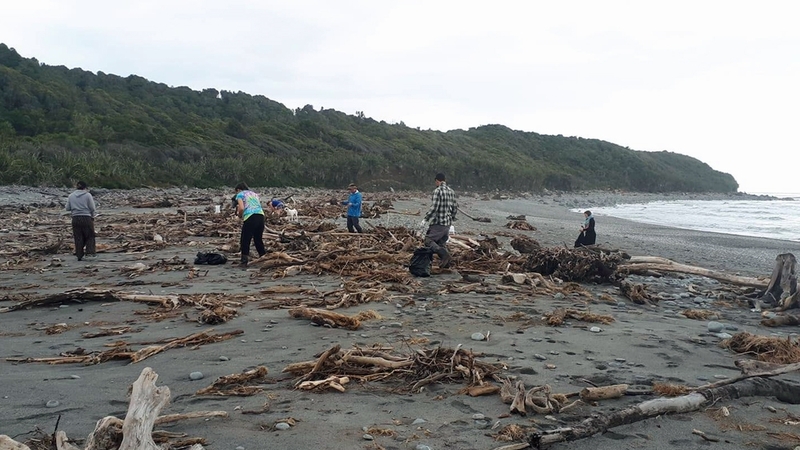 The warning comes after heavy flooding on the West Coast of New Zealand’s South Island washed part of a disused landfill into the ocean on March 26, scattering thousands of tonnes of plastic along 50km of normally pristine coastline. The once in a hundred years flood – which saw 1,000mm of rain fall in less than 48 hours – is believed to have swept thousands more tonnes of trash out to sea, depositing some of it into a 4km-deep underwater canyon off the coast. 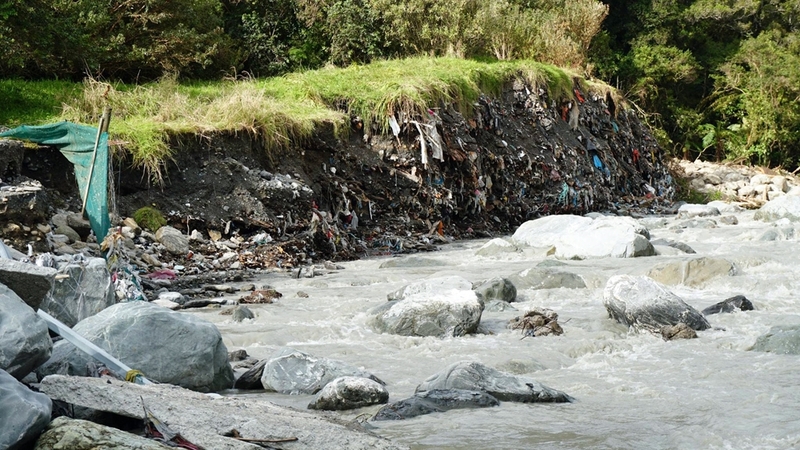 “We know rubbish has ended up along a wide stretch of the coastline,” Joshu Mountjoy, a marine geoscientist at New Zealand’s National Institute of Water and Atmospheric Research, told Al Jazeera. Marine litter is known to have a major impact on marine life. Plastics can be especially insidious as they break down to microplastics that can be ingested. “Submarine canyons are exceptional environments for focusing marine life and can be badly impacted,” said Mountjoy. Along with plastics, toxic materials from the waste can also be incorporated into the food chain. “Fish can absorb toxic substances in waste [and] store it in their bodies,” Jeff Seadon, a Built Environment engineer at Auckland University of Technology, told Al Jazeera. As climate change results in more extreme weather events and sea level rise, there are fears similar flooding could see many more landfills around the world exposed in the same way. Last month, the United Nations Environment Programme published a report looking into waste management practices in Small Island Developing States. It identified coastal dumpsites and those close to rivers as a major issue. “This is also applicable to many of the 11,000 other inhabited islands around the world and many mainland dumpsites,” said Seadon. “Given the opportunity, waste – including hazardous waste – that can poison marine life and affect humans, will wash into the sea,” he said. Of concern is hazardous waste coming from small-scale industrial processes such as leather tanning, electroplating of metals or photofinishing. “Although they are often disposed of in small quantities, they can spread through landfills and contaminate large quantities of other waste,” said Seadon. Larger industries are also responsible, producing toxic waste including paint, pesticides, pharmaceuticals, detergents, batteries, print cartridges and electronics. While modern facilities separate hazardous waste and can treat them to render them harmless, legacy landfills pose a much more significant environmental threat. “They often have no way of keeping toxic leachate confined to the landfills. As a result, this can seep into surrounding soils, streams, lakes, underground aquifers and into the marine environment,” said Seadon. Many deep ocean canyons around the globe are believed to be affected, including some of the planet’s deepest. 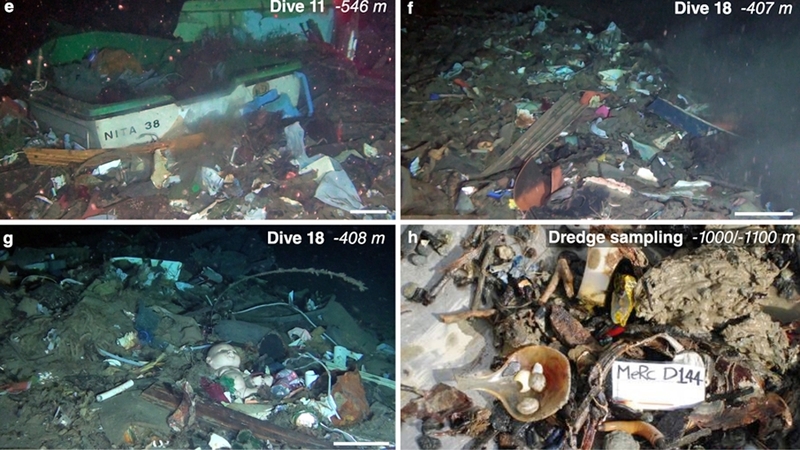 A recent study of canyons in the Mediterranean Sea off Sicily found huge amounts of rubbish in water depths up to 1,000 metres, transported there by flash floods. This included bottles, cups, toys, gutter pipes, garden hoses, car tyres, bricks, cement piles and foam padding. “It shows what a huge problem erosion of municipal waste in big flood events can be,” said Mountjoy. “If anyone had any doubt that the rubbish we discard can end up way down in the deep ocean here is the proof,” he added. Once the rubbish is on the ocean floor it is believed to gradually sink to the deepest regions. “The long-term fate of sediment entering large submarine canyons is the deep ocean floor hundreds of kilometres offshore and several kilometres deep,” said Mountjoy. It is here that the rubbish, including plastics, becomes a layer of sediment. “The endgame for all plastic pollution in the world’s oceans is sedimentation, either on a coastline or in the deep sea,” Marcus Eriksen, director of research for the 5 Gyres Institute, told Al Jazeera. “There will forever be a geological layer filled with microplastic that represents this time in human civilisation, circa 1950 to 2050,” he said. Stopping the rubbish at source is also suggested as a way of reducing the problem. “If we do not make waste in the first place, then we do not need to deal with the consequences,” said Seadon. With the volume of new plastic expected to increase five-fold over the next 30 years, there are concerns that landfills will not be able to keep pace with the rubbish. “Whether they are modern or not, [landfills] cannot absorb the volumes of trash expected to be created in the decades ahead. There is simply no place to put all that trash,” said Eriksen. Previous articleOver the weekend, more than 20 tornadoes were reported over five states. "trendnewsweb.com" has confidence in the reliability news, knowledge, administrative & political issues shape website. We give you the latest conviction news and analysis from each edge of the world.